Markets are more wary about upside risk to crude oil prices and fears of rising populism ahead of state and center elections. Ritesh Nambiar is Senior Vice President & Fund Manager for UTI Income Opportunities Fund and a Co-Fund Manager for UTI Floating Rate Fund and UTI Medium Term. He is also a senior member of the credit research team for the BFSI sector. 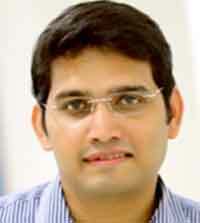 Ritesh Nambiar is a CFA Charterholder and a Financial Risk Manager (FRM) from CFA Institute and GARP. He is done graduation (BMS Finance) and post-graduation (MMS Finance) in Management Studies from Mumbai University. In an interaction with IIFL’s Devansh Mehta, Ritesh Nambiar, Senior Vice President & Fund Manager, UTI AMC, he said “If the investor is ready to invest for 3 years then he shouldn’t be wary of near term risks”. What is your take on macros of the country with crude and rupee being unfavourable? Sharp and sudden rise in crude oil prices due to supply concerns and broad weakening in emerging market currencies against dollar weighed on the rupee. Also, measures taken by the government and RBI to arrest the rupee fall were not well received by the market. Thus India’s external barometers of health viz. Balance of Trade (BOT), Current Account Deficit (CAD%), forex reserve and Balance of Payments (BOP) have worsened due to dual impact of 17-20% rise in crude oil price and 13-15% depreciation in rupee against dollar. However, other macroeconomic variables like GDP growth and CPI inflation continue to be remain supportive. Currently, markets are more wary about upside risk to crude oil prices and fears of rising populism ahead of state and centre elections. How do you see government manage its expenditure after reducing its borrowing? Government has reduced its Gross Market Borrowings by Rs70,000 crores to provide a breather for debt market participants and appease concerns on supply of Government and quasi government securities. The reduction in gross borrowings will be met partly from the rise in small savings collections and lower buy-back. As Net Market Borrowing is kept unchanged, we do not envisage any major changes in government expenditure. We are more concerned about the quality of budget (more revenue spending to capital spending) which could worsen more so for next year due to election pressures. How do you view the liquidity scenario and also what is your take on the credit after the ILFS fiasco? Currently, core system liquidity is negative by around Rs60,000 crores. Going ahead, due to festive season and run up to state and centre elections, the currency in circulation (CIC) would increase rapidly, which could keep system liquidity negative by Rs1.5 trillion. Moreover, forex intervention by RBI would further weigh on liquidity. We expect RBI to bridge this gap through aggressive open market operations (OMO) and term repos. IL&FS fiasco has created a risk-off sentiment among market participants especially mutual funds. Credit conditions have turned tight for most corporates (especially NBFCs/HFCs) except for few blue chip names. Mutual Funds have not/ would not roll over commercial papers (CP) for these corporates, hence the big test for the market is at the end of Nov-18 when most the CPs mature. Our sense is that post Nov-18 credit conditions may improve. Supportive measures from the government (through SBI, SIDBI) and RBI (through LCR) to address this liquidity crisis in NBFC/HFCs have slightly improved the market sentiments. What is your expectation on RBI's action going forward after the stance change to calibrated tightening? Depending on evolving trends in inflation amidst global risks, the RBI would react. However, Dec-18 rate hike probability has lowered due to undershooting of CPI projections in the near term. Incoming CPI data would support a rate hike not before Feb-19 policy. However, rising external risks due to INR depreciation and sharp rise in crude oil prices could force the RBI to pre-empt a rate hike. What are the major concerns one should look at? Political risk such as continuity of centre government, quality of decision making and degree of populism would form the basis for investment into India. Hence, elections would be the most watched out event for the market. Also, any further weakening in external macroeconomic variables would weigh on the markets and create a risk-off sentiment among global investors. Where should an investor park his funds for the next 3 years? If the investor is ready to invest for 3 years then he shouldn’t be wary of near term risks. Then depending upon his/her risk profile and milestones some allocation should be given to each product category within debt. There isn’t one ideal portfolio constitution for all investors. In the near term, higher allocation could be given to products upto 3 years depending on near term headwinds on interest rates.